Wow, another year gone, where did 2015 go?? Come midnight, lets sip on some champers and see the new year in. Got lots of plans for 2016, so I'll be lifting a glass to hopefully a successful year! And of course toddling at the midnight ball, whatever that is!!! Have finally seen new the STAR WARS film, (yes, I know, what took me so long!!). And, phew, it's absolutely brilliant!! Very much like the original 1977 classic, with less unnecessary CGI and more focus on the actual people. Great new characters mixing with the old faves. For us old 'uns who remember it all first time around in a galaxy far far away, it was a real treat, with many a reference to the original films. 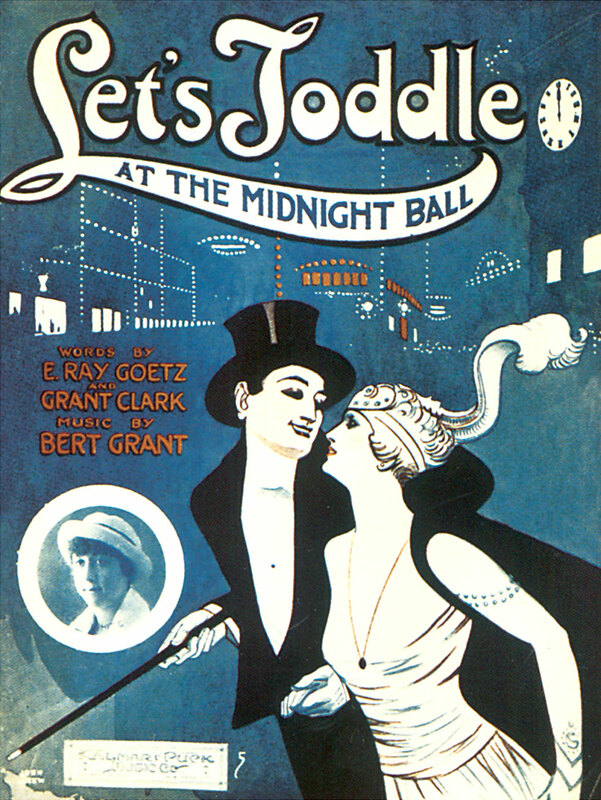 I saw the first movie at the Dominion Theatre in Tottenham Court Road, and like many of my generation were blown away with it all. This afternoon I stumbled around the loft to dig out some of my 1977 Star Wars figures, a must-have for any kid at the time!! Have a peep at these hastily taken photos of some of the collection! And try and guess which ones needed blu-tac stuck to their feet to keep them upright!!! 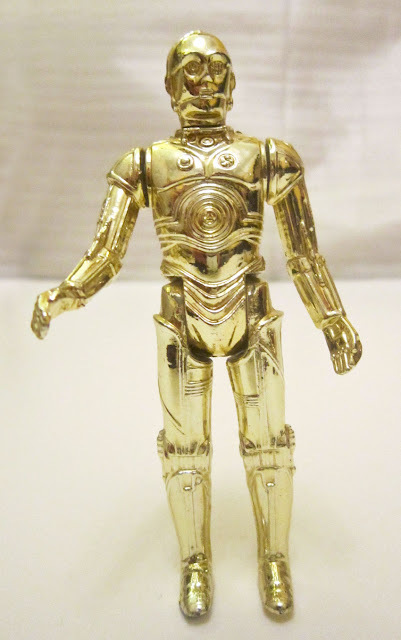 Of course, the one and only C3-P0! 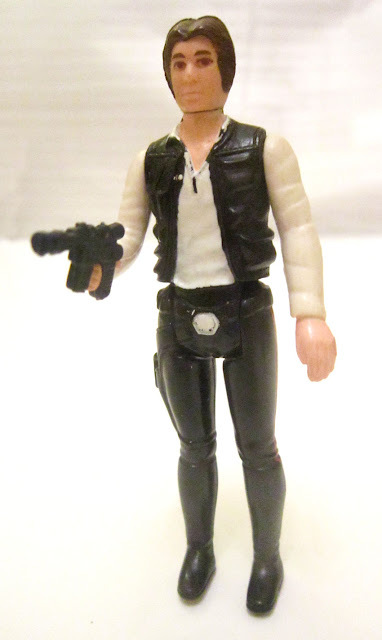 Han Solo, ready to blast another Stormtrooper! 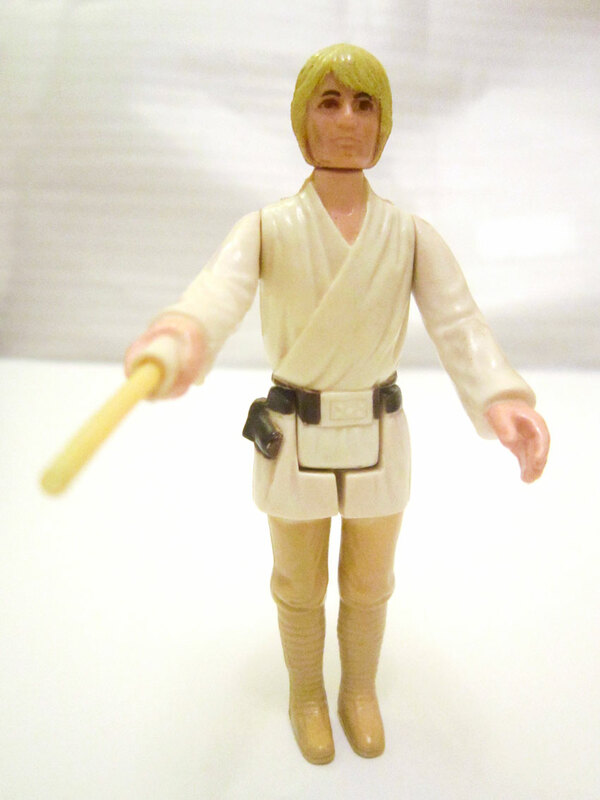 A very young Luke Skywalker, in pre-Jedi days! A pesky Sandperson, always causing trouble! 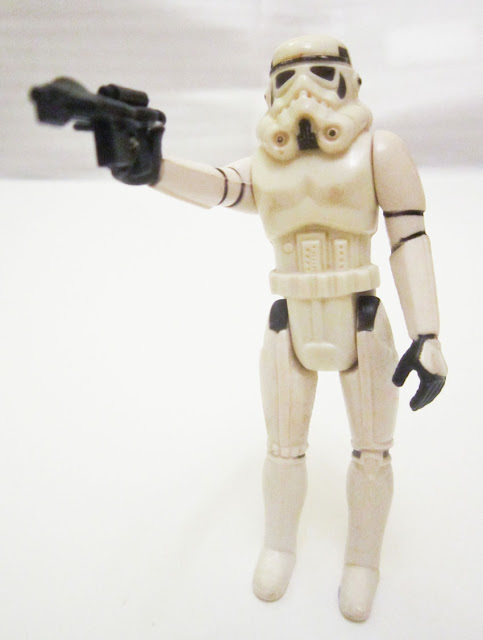 Evil Stormtrooper, although not so tough now, as he needed the blu-tac to stay on his feet! 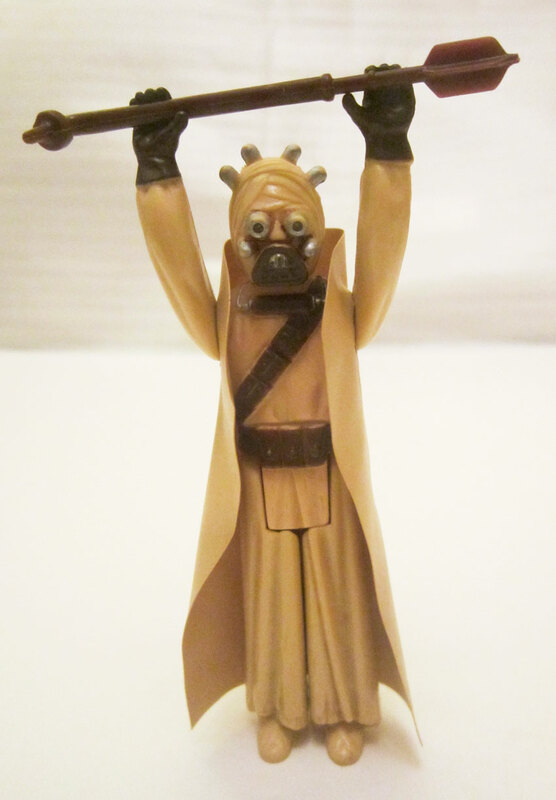 I have loads more Star Wars stuff, and according to ebay is worth a few quid, but I'll get that out another day!! Have started tinkering with my website, have been meaning to give it an MOT for a while and update a few bits. Today, I've added a few piccies to the Photo gallery. 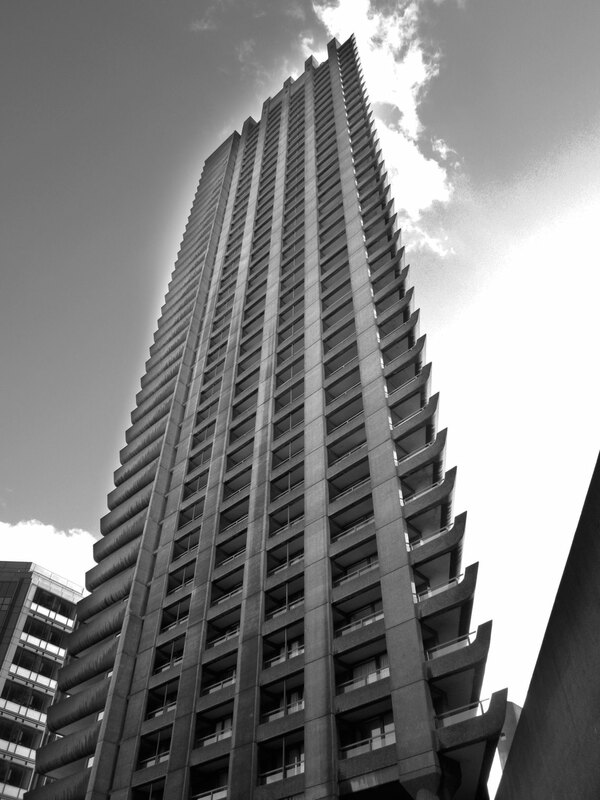 As well as my vintage based artworks and designs, one of my fave things is photography. Although not a professional by any means, (I just point my tiny digital camera at things!! ), I love to tinker with photos afterwards. 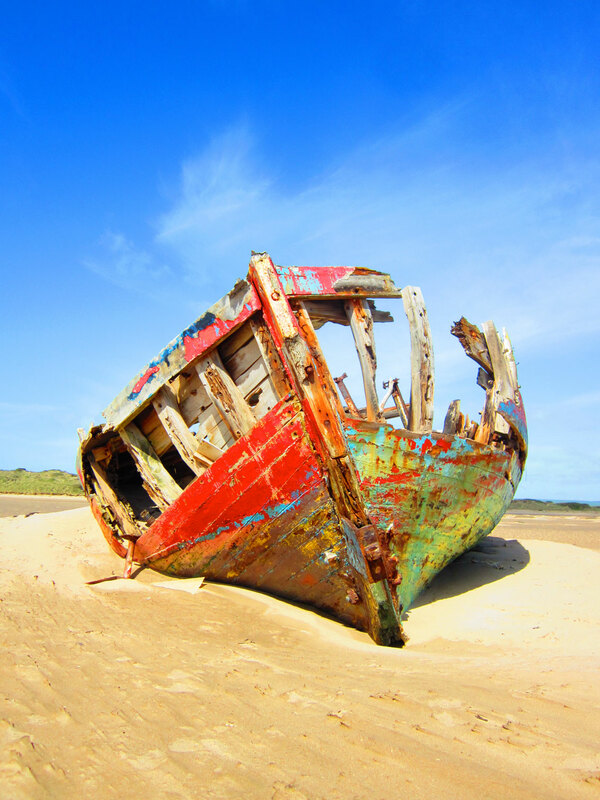 Battered boat at Crow Point in north Devon. It still has its amazing vivid colours. A Brutalist beauty at the Barbican in London. 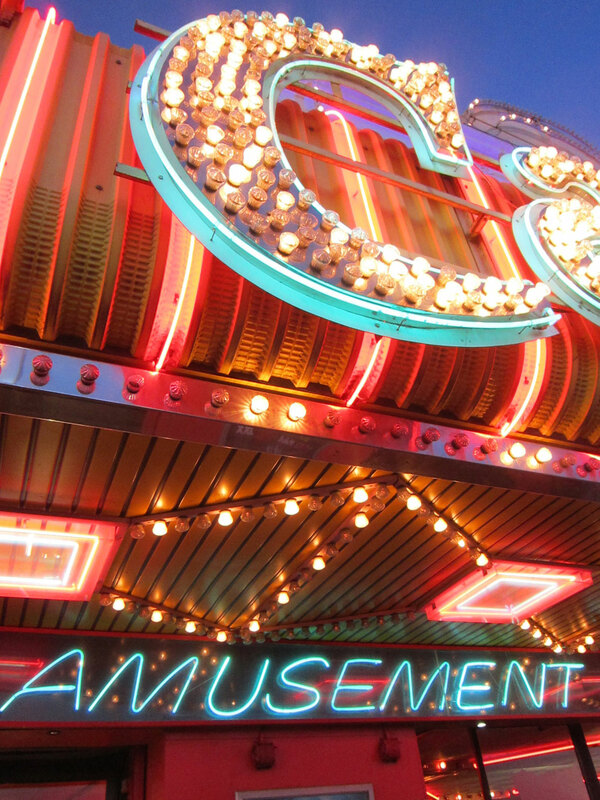 Classic seaside amusement arcades at Southend. 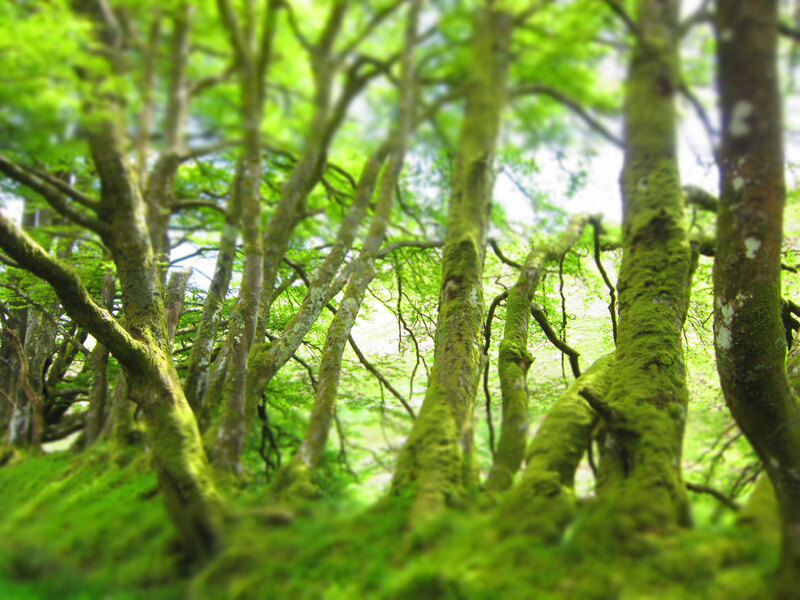 Ancient trees near Cow Castle on Exmoor. Apologies to all who have those new fangled iPads/Phones etc, as I think my website doesn't work on them because of Flash. Technology eh??! Wished they'd told me that before I'd spent hours and hours setting it up and paying for the domain!!!!!!!!!! 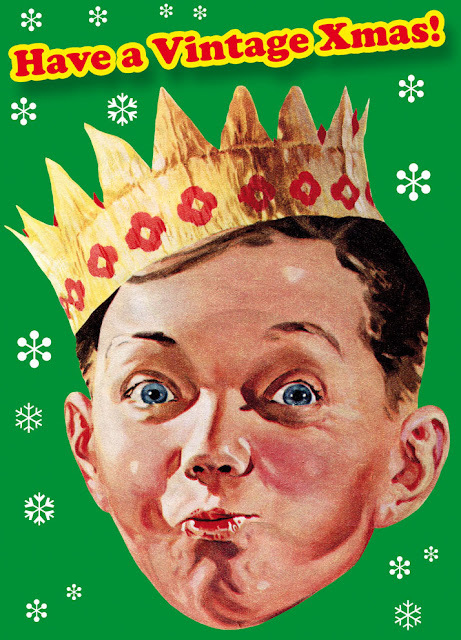 Hope you all have a marvellously merry Xmas!!! Turkey, mince pies, Xmas pud and pressies and all that sort of thing! For me this is the first day of a mammoth holiday, as I'm taking a sabbatical from the daily trundle to London. I'm got the WHOLE of January off, WOW!!!!! I'll be recharging the batteries and doing all sorts of ArtPix related projects, so watch this space! Having worked as a magazine designer in London for the last 100 years, I thought why not create my very own magazine?! 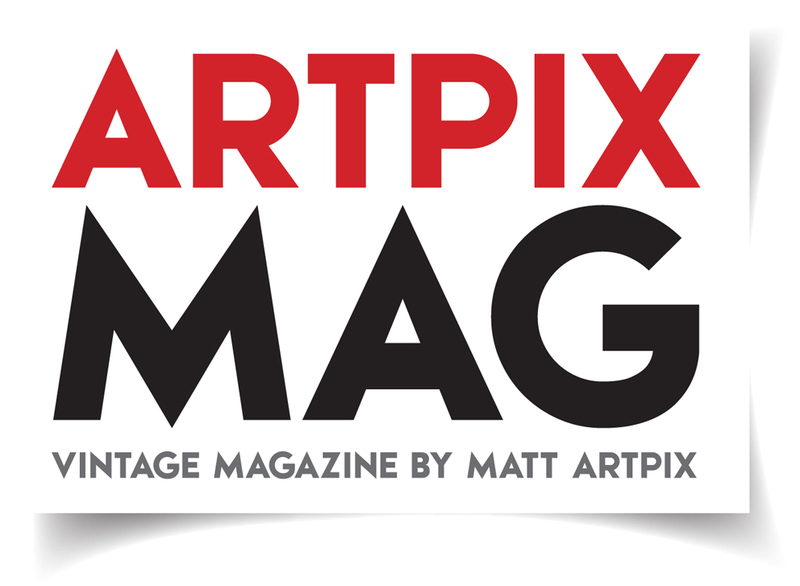 So first up of course is a name ... And here I almost stumbled at the first hurdle, but eventually came up with the highly imaginative title of ARTPIX MAG !!! This could change at any moment though! And now to decide what on earth goes in it. Well, so far it will be a mixture of my latest news/designs/adventures, a few reviews of various things, a photo spread, Antique of the Month section, a retro footie page and a bit about how I create all my work (and how to buy it!!). The next step is to create a look and then design all the bits and pieces. After that I'll have the small matter of writing it! I'll be everything on this project ... Designer ... Writer ... Editor ... Photographer ... Picture Editor. So if you catch me talking to myself, that'll just be me having an Editorial Meeting!! Bournemouth's footie team are causing serious shockwaves and are starting to enjoy their first season in the Premier League! After an incredible 1-0 win at Champions Chelsea last week, they've managed to follow that up with an amazing 2-1 win over Manchester United!! People like to knock football for all its faults, but sometimes it can still come up with a hugely romantic story. Just 6 years ago Bournemouth only just avoided relegation out of the Football League altogether. Since then a level-headed approach has seen them rise through the divisions, culminating in the well-run club winning the Football League Championship last May and promotion to the Premier League. As always I like to delve into the ArtPix Archives to find some retro gems, and I wasn't disappointed! Here we have a superbly mad programme from 1972!! The club had just changed their name to AFC Bournemouth, so this was part of a rebranding of the club's image which also included a new badge, still in use today. They also had a fabulously cool kit in those days! 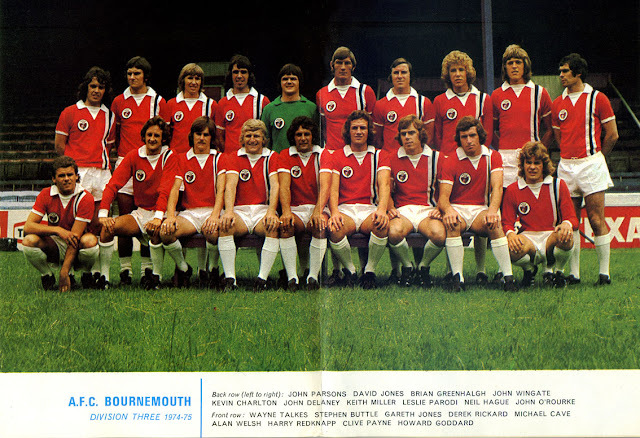 Take a look at this team group from 1974 and marvel at their cool design, with the new badge and bold black and white vertical striped top! Can you spot a very young looking Harry Redknapp??? Even he looks great in that kit! 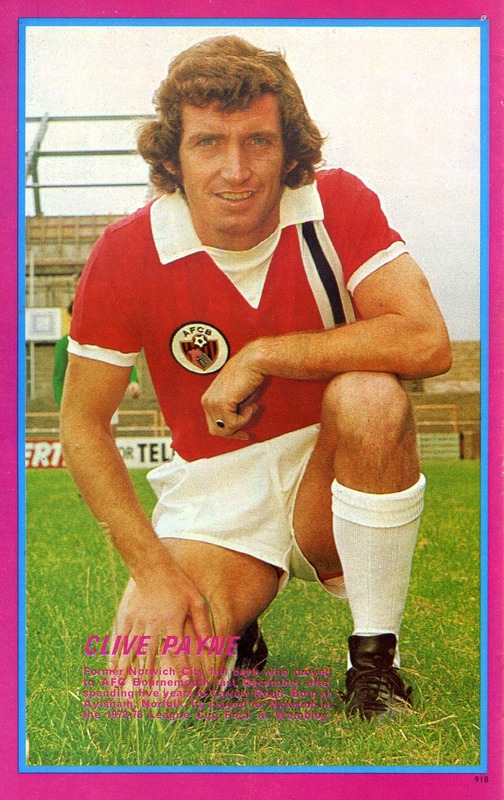 And here is a fantastic portrait of Bournemouth's Clive Payne, clearly showing their fantastic new badge. Even the magazine designer got carried away with the spirit of the occasion. Boldly experimenting with a crazy colour combination of magenta and cyan to somehow match with the red and white of the shirt!! Great days!! 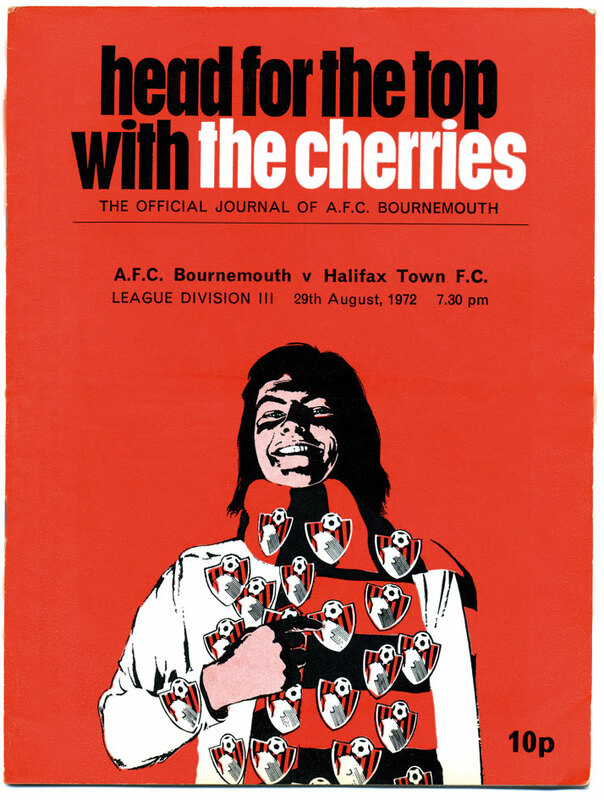 Good luck to the Cherries for the rest of the season. And can you bring back this kit as well please?! 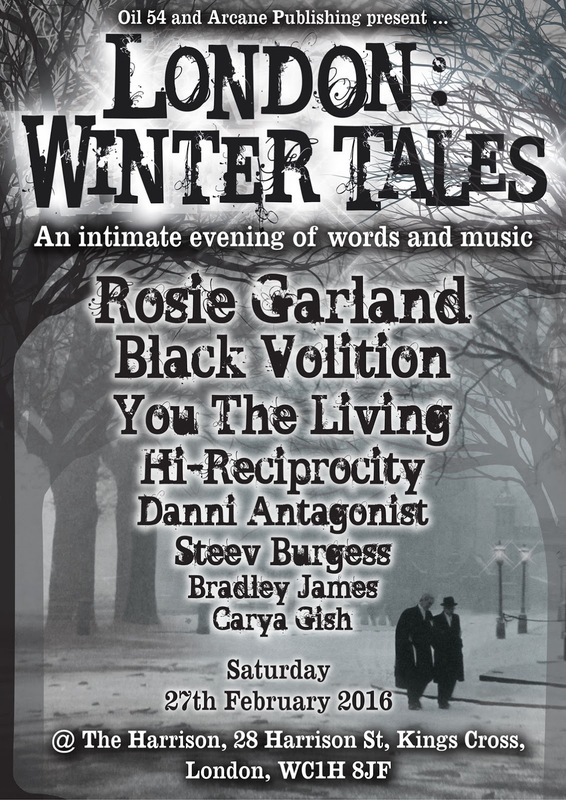 Oil 54 and Arcane Publishing present an intimate evening of words and music. Based in The Harrison bar near King's Cross in London, LONDON: WINTER TALES will delight you with the dark, mysterious feel of a winter's evening. An amazing array of talent will be on show throughout the evening, with readings, poetry, music and a bulging merchandise table!